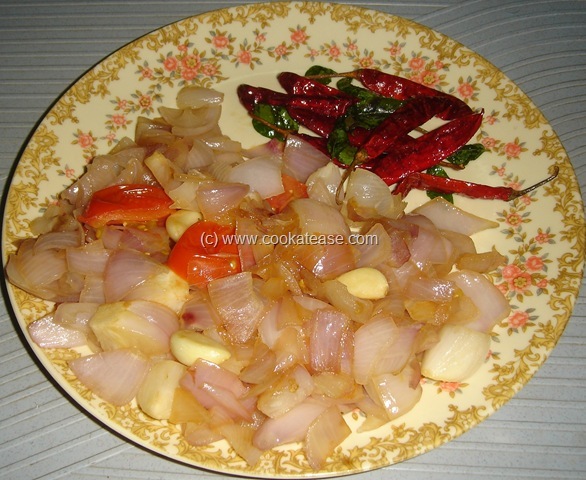 Onion chutney is the best match for Idli, Dosa and Adai. 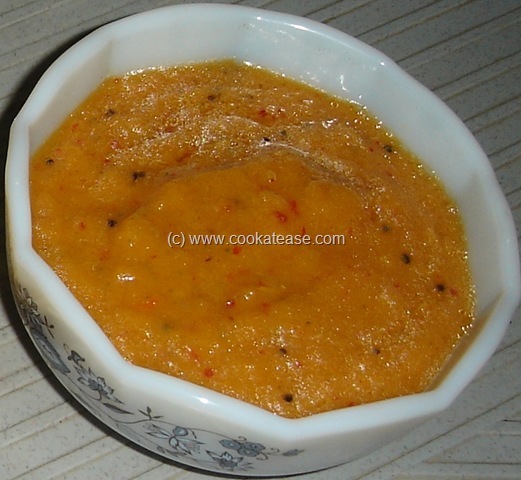 With less oil and ease of preparation, this is the best chutney for unexpected guests at my home. 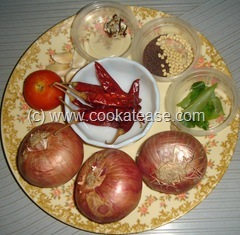 Onion and tomato are used in most of the chutneys but as onion is the main ingredient in this, I call it as Onion Chutney. This is prepared without using coconut and dal. So this chutney will stand for more time outside the fridge and is good for lunch boxes. Cut onion, tomato into big pieces; peel garlic. 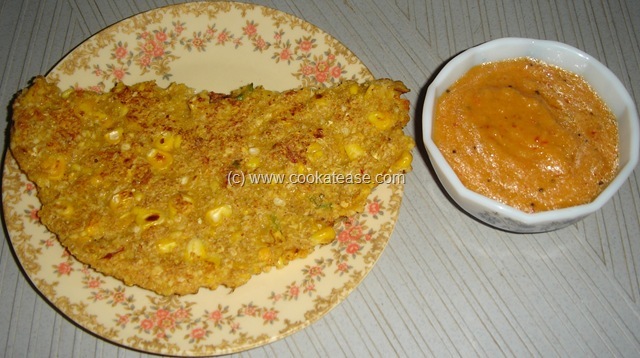 Heat a pan with few drops of oil; fry red chilli, few curry leaves and remove; add few drops of oil, fry garlic for few seconds, add onion fry for few seconds; then add tomato and fry for few seconds; allow the mix to cool. Grind all fried items with salt and do the seasoning with remaining oil. 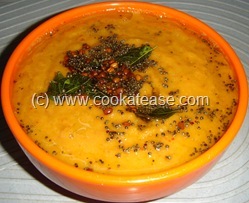 Serve with Idli, Dosa, Adai. If you find chutney hot due to red chilli, mix it with some sesame oil. Onion chutney seems so delicious. Nice recipe dear. Looks delicious. I am sure it tastes amazing.